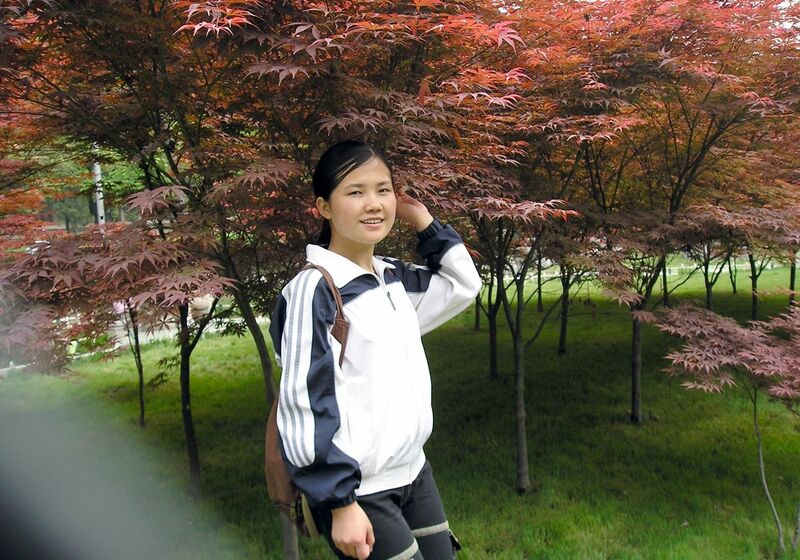 She Graduated from Shaanxi Normal University, in July, 2012. Was one of our Scholarship recipients. Her major is Editing and Publishing Science. Now working at Advanced Power Technology Co., locates in Hi-tech zone in Xi’an. It is an electrical test equipment and measure instrument exporter. Her job is to promoting the products on website. 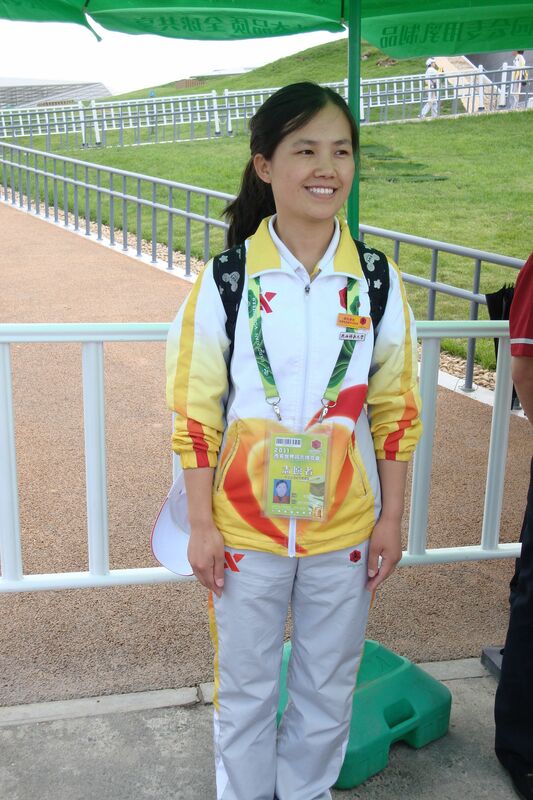 She was born in a village of Baoding, Hebei province. Now at 24 years old with first job, recent married in May to Mr. Guo Xing work for a cell phone company. Her parents still live in the village of Baoding. She supports them and gives them nearly half of her salary per month, because they can't go to work and they have no insurance. She volunteers to be our liaisons to our mountain top school Hanjiaping School and our three other schools. She Help us during the weekend and at night, here is her work result to get first email direct from Hanjiaping in 20 years. This is a heart warming story, we help students in needs and she want help us to help more students in need. The Society awards scholarships to girls in Chinese primary schools and Shaanxi Normal University who would be unable to continue their education without our assistance. Rong Rong Li is the Society's initial university scholarship recipient. It is through your support that makes these scholarships possible. Please share our sense of pride as you read Rong Rong's story. When Rong Rong was only eight months old her mother disappeared never to be seen again. Rong Rong was born in 1985 in Shanxi Province to a family of farmers. Due to extreme poverty her upbringing was very difficult. When Rong Rong was only eight months old her mother disappeared never to be seen again. Her father remarried when Rong Rong was four years old. That marriage ended in divorce when Rong Rong was fifteen. The divorce brought more hardship to the family. It devastated the family's finances and left Rong Rong's father as the primary caregiver for Rong Rong, her six year old brother and Rong Rong's disabled uncle. This put a lot of pressure on Rong Rong because her father was partially disabled himself due to a head injury. Also, her grandmother died the following year making life even more difficult. Rong Rong realized it was up to her to break the long cycle of poverty in her family. She worked hard in school and in 2005 was admitted to Shaanxi Normal University in Xi'an to study food science. She had to work various part-time jobs to make ends meet but that still wasn't enough. Through Bob Chien's university contacts he became aware of Rong Rong's story. The purpose of the Beverly Chien Graham memorial scholarship fund was to help students like Rong Rong. The scholarship funds allowed Rong Rong more time to focus on her studies. Because of her hard work and good grades she received numerous awards from the University. She was awarded the First in Class scholarship once; the Second in Class scholarship twice; and was recognized as one of three top students. Bob and Teresa Chien along with Joyce Cox have also invested themselves in Rong Rong's life. Bob and Teresa introduced Rong Rong to Joyce Cox and Rong Rong views Joyce as her "American Mom". 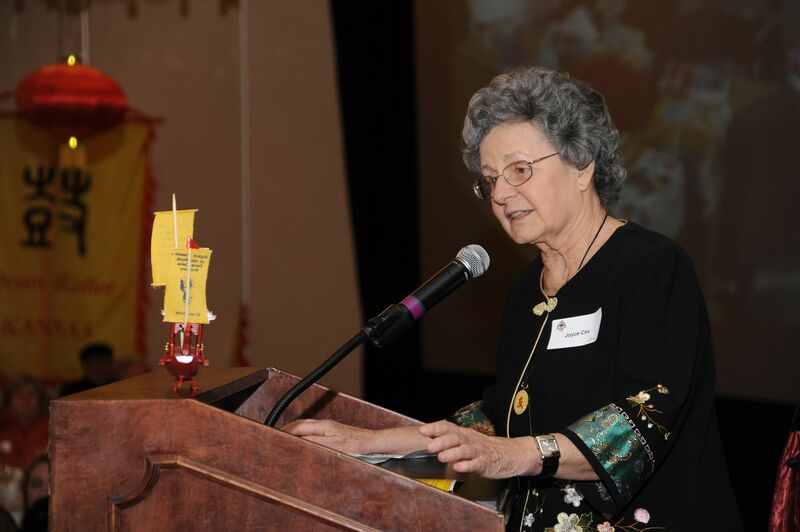 Receiving a scholarship in memory of Bob's daughter, Beverly, has made a lasting impact on both Rong Rong, the Chien's and Joyce. Rong Rong says, "I know the scholarship is a gift of love from father to daughter. It so precious that I want to live up to it. I study even harder to improve myself realizing that the support is not only financial but also emotional. When I am reminded of how much they care for me all my difficulties seems smaller in comparison." Rong Rong is currently working on a post-graduate degree in food science. Her major is food safety and nutrition. She believes that people can only grow and prosper if they have proper nutrition and safe food. As she continues her education the work load is heavier and more demanding. This makes the Society's scholarship funds even more meaningful so that she can maintain her focus on completing her degree. Rong Rong thanks all the people who have helped love and care for her. Her dream is to pass along to others the kind of help that she has received. At the 2011 Xi'an International Horticultural Exposition Rong Rong was selected as "Miss Etiquette". See here for more information about the Expo.